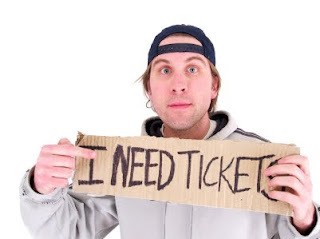 Ticket King Milwaukee Wisconsin: Milwaukee Ticket King Wants to See Bucks Fans at Major Goolsbys! Milwaukee Ticket King Wants to See Bucks Fans at Major Goolsbys! Over the weekend I was away on vacation and got a few text messages and calls from people looking to get Milwaukee Bucks tickets to the game Saturday night at the Bradley Center. Tickets for the game were in high demand because it was rookie of the month, Brandon Jennings, Bobble head night!! Knowing that I work for Ticket King in Milwaukee, some old friends were hoping I could help them find last minute tickets. Luckily I knew exactly where they could find tickets! Every night before Milwaukee Bucks games one of our co-workers goes to the bar and restaurant called Major Goolsbys just a block south of the Bradley Center to sell last minute tickets that are left. Tonight the Bucks play the Detroit Pistons followed by the Houston Rockets next week. If you are ever interested in going to a bucks game last minute or weeks in advance, please don't hesitate to use us in the future or come check us out in the DJ booth at Major Goolsbys!